I generally like to use a Bic Cristal ballpoint pen when I’m writing. It’s the best selling pen in the world and over 100 billion have been sold since they first rolled of the production line in 1950. About 60 of these pens are sold each second! Over 200 million are sold in Britain each year. So who exactly is responsible for this nifty little number? … to Hungary during the early 1930s. Writers during these days used either pens dipped in inkwells or fountain pens, with interior ink reservoirs, but either method often led to splotchy documents and stained fingers. 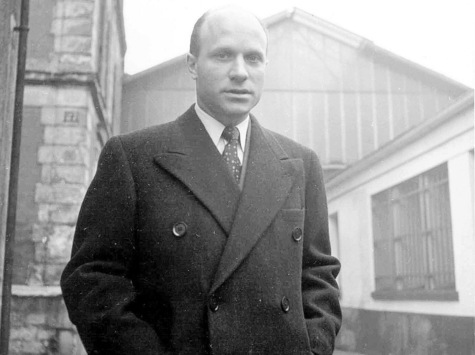 A young man called László Bíró was working as a newspaper reporter in Budapest. He noticed that although the ink from inkwells smudged easily and took several minutes to dry, the ink used to print newspapers dried much quicker and didn’t smudge. He tried using some of this printing press ink in his fountain pen, but it was too viscous and wouldn’t flow properly. Working with his brother György, a chemist, he developed a new pen tip consisting of a ball that was free to turn in a socket, and as it turned it would pick up ink from a cartridge and then roll to deposit it on the paper. 498,997. Fountain pens. BIRO, L. J. June 15, 1938, No. 17743. [Class 146 (iii)] In a fountain pen employing a rotatably-mounted ball 1 as the marking-element and a soft pulpy dye as marking-material, the dye being pressed against the ball by a piston 7, the piston-rod 11 is slidable but not rotatable relatively to the piston and a spring 10 is arranged between the piston and the rod. 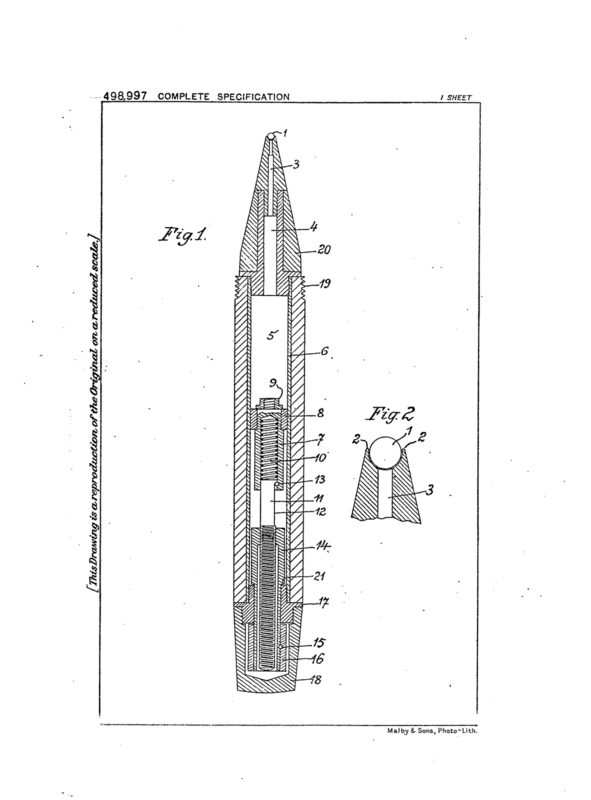 The piston-rod screws into a nut 14 rotatably mounted in the end of the barrel. When the piston is screwed forward, the dye presses the ball to seal the aperture at the front end of the barrel except when the ball is applied to a surface during use. Once in Argentina, the Bírós continued to develop their ballpoint pen. In 1943 they filed another patent and formed a company called Biro Pens of Argentina to manufacture the pens. 564,172. Fountain pens. BIRO, L. J. June 10, 1943, No. 9303. 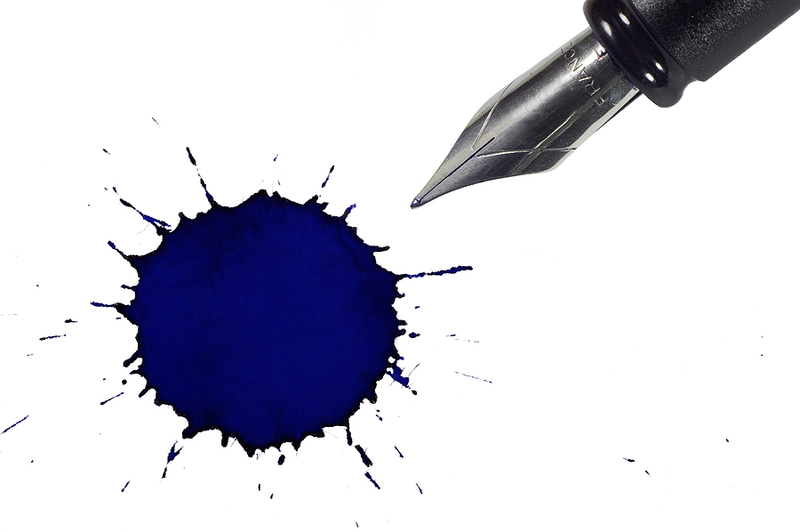 [Class 146 (iii)] In a fountain pen of the kind having a marking-element in the form of a free ball, the ink conduit c, Figs. 1 and 2, instead of stopping at the surface of the ball 2, is branched into channels or grooves, which extend into the ball-setting, so that the ink is brought into contact with the major part of the surface of the ball. 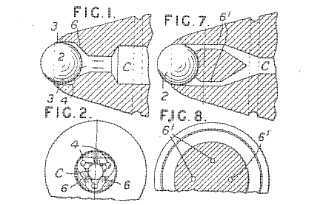 In one form, the conduit c, before reaching the ball, expands into a portion 6 of pyramidal form, which provides three or more spaced bearing-points 4, against which the ball rests, the ink passing between the bearing- points to the concave ball-setting 3. In a modification, Figs. 7 and 8, the conduit c is branched into a number of channels 6, which lead to the surface of the ball. Originally named the Eterpen it received its first bulk order from the RAF in 1943. 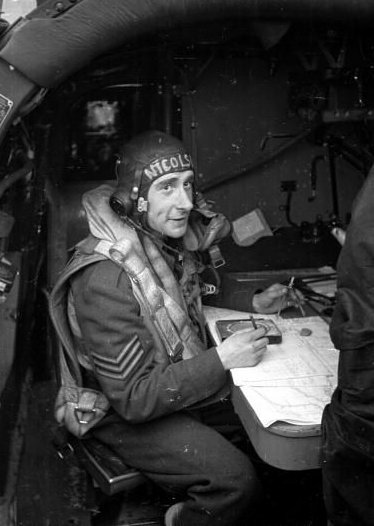 They asked for more than 30,000 biros so that navigators could write at high altitude where fountain pens tended to leak. Meanwhile … over in France, a man called Marcel Bich had bought an empty factory in Paris. He had a knowledge of the writing instrument trade, gained while working as a production manager for an ink maker. His factory began to make fountain pen parts and mechanical lead pencils. 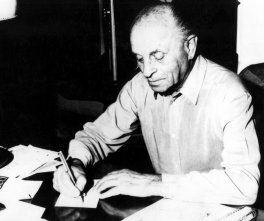 He’d heard about László Bíró’s ballpoint pen and purchased the patent rights from him. Between 1949 and 1950 the Bic Cristal was designed by the Décolletage Plastique design team at Société PPA (later Société Bic). Bich invested in Swiss technology capable of cutting and shaping metal down to 0.01 millimetre, with the outcome a stainless steel, one millimetre sphere which allowed ink to flow freely. After many attempts Bich found a viscosity of ink which neither leaked nor clogged and launched the Bic Cristal in 1950. An advertising executive had advised Bich to shorten his family name to Bic as an easy-to-remember, globally adaptable tradename for the pen. Throughout the 1950s and 1960s the Bic Cristal’s ballpoint writing tip and ergonomic design helped change the worldwide market for pens from fountain pens to mostly ballpoints. Most people nowadays tend to call ballpoint pens biros. So … That’s Biro … Bic Biro. If you’ve enjoyed this wordpress post and would like to see more … then please click the FOLLOW tab. This entry was posted in Chat, Writer and tagged Bic Cristal, fountain pen. Bookmark the permalink. Wow, what a brilliant story, and very well told and illustrated. I look forward to reading more from you… Thank you!